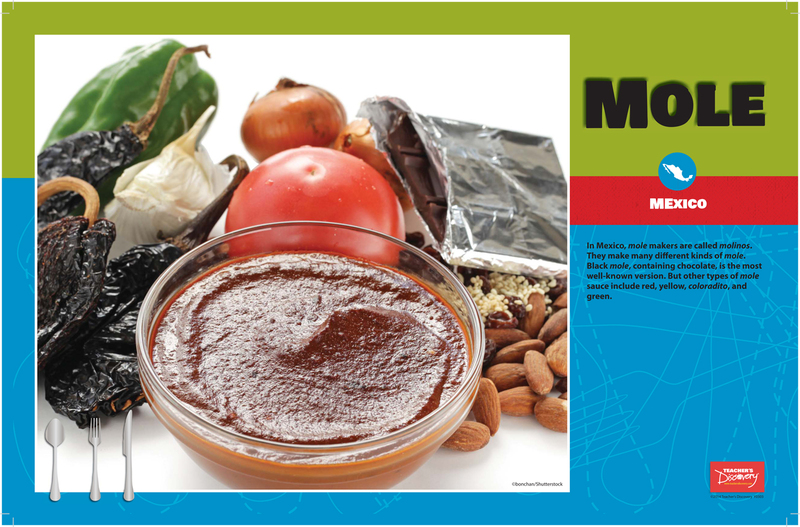 Teach your students about the culture through their stomachs. 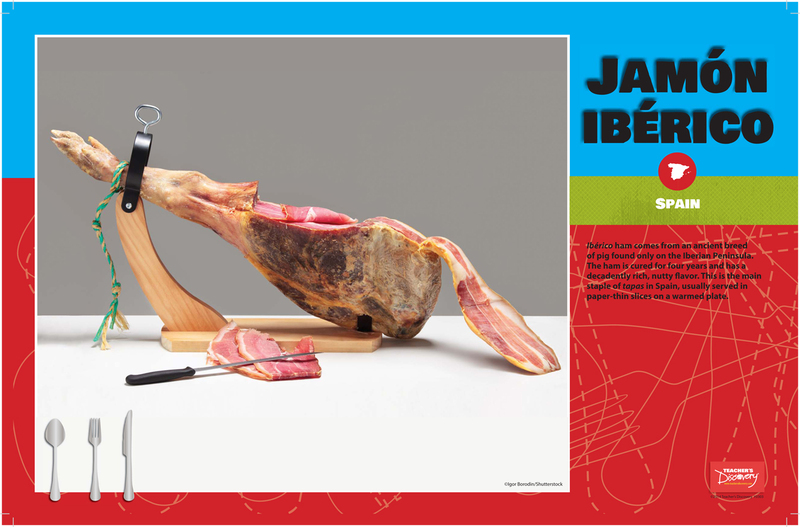 Your students will be fascinated with the types of food available throughout the Spanish-speaking world. 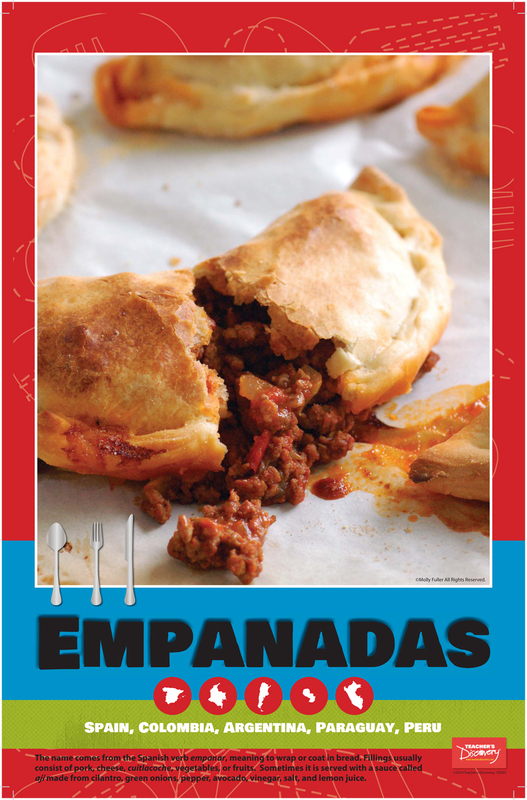 Show them jamón ibérico from Spain, pozole from Mexico, and how many countries have a type of empanada. 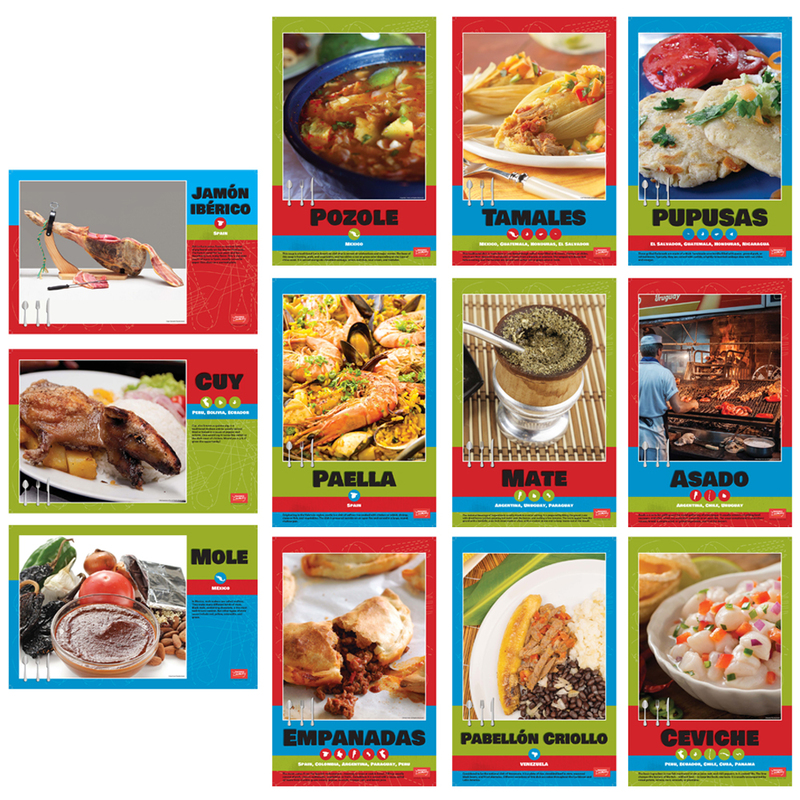 Each of the 12 cards highlights a specific dish, the regions where it is most commonly found, and an explanation of what it is. 11 x 17 inches. Cardstock. 12 cards. 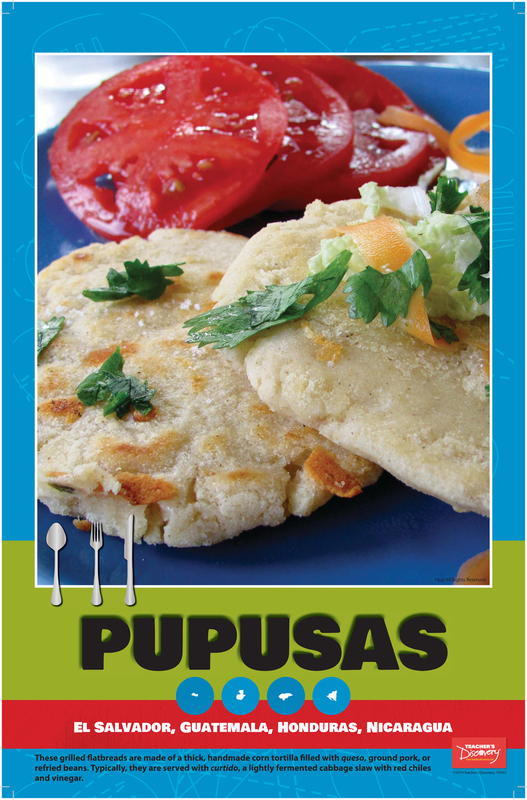 I really love these mini posters of colorful photos of different traditional foods in Spanish speaking countries. Since I have been incorporating culture/traditions in teaching Spanish. 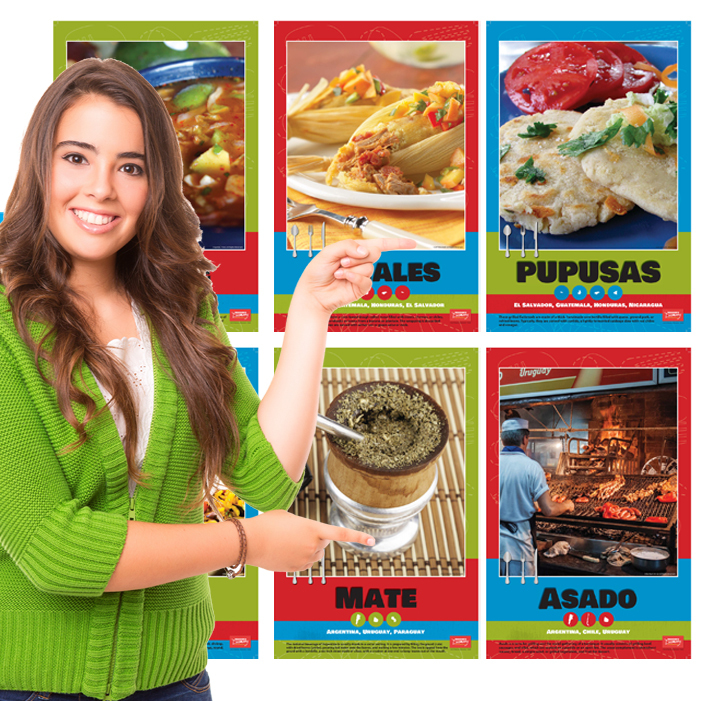 I found showing these posters, interests my students in wanting to try ethnic foods & enrich the language.